One-bedroom suite on Capitol Hill. This unit is 725 sq ft with some view of the downtown skyline, queen bed. It has a washer and dryer in unit, and a work area. Just unpack and you’ll be settled very quickly, leavings lots of time to relax. Stock your kitchen by shopping from a variety of groceries and delis nearby. All furniture and accessories are in place, all linens are provided, and all utilities are connected and ready for you. Need to do banking? You can choose from several different locally known banks. One bedroom and 1 bath flat is 725 sq. ft. Fully supplied kitchen with dishwasher. Granite counters, cherry cabinets, stainless. Queen sized bed & pull-out couch. Take the city bus just steps away from your front door. Same bus, you can continue on to the Pike Place Market, or take a turn and end up in South Lake Union, referred to by some as “the city within a city”. Jump on Interstate 5 north or south - it takes no more than a couple of minutes. 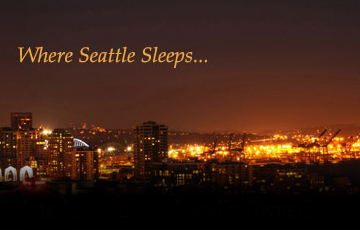 Want to visit Downtown Seattle? Take the Light Link Rail connection from Capitol Hill to the University of Washington...it's only a short 8 minutes!